FAIRBOURNE Railway has launched an appeal to finance the returning to steam of its 12¼in-gauge 0-6-4ST Beddgelert. long-scrapped North Wales Narrow Gauge Railway’s (NWNGR) Hunslet 0-6-4ST Beddgelert. It visited Ffestiniog & Welsh Highland Railway’s June 22-24 Hunslet 125 gala (see p56), initially displayed on a wagon in Minffordd yard. On June 24, the wagon, with Beddgelert aboard, was added to a special Porthmadog to Beddgelert train, hauled by new-build Manning, Wardle 2-6-2T Lyd. 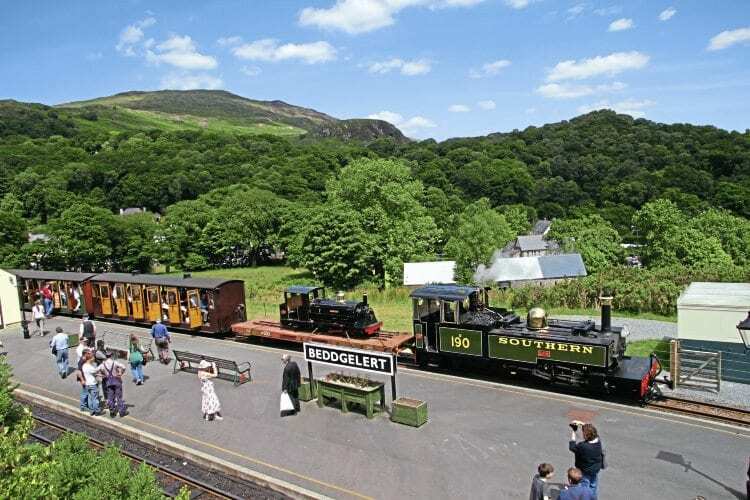 The 12¼in-gauge Beddgelert was positioned alongside the station nameboard overlooking the village after which it was named – something the original NWNGR Beddgelert never did. NWNGR primarily employed Beddgelert on the Bryngwyn branch, off the main line from Dinas at Tryfan Junction. The loco rarely ventured as far as Rhyd Ddu. Out-of-ticket Beddgelert has been in the museum at Fairbourne for the last five years. The Beddgelert Restoration Fund anticipates it will need to raise some £35,000 to return the loco to steam.